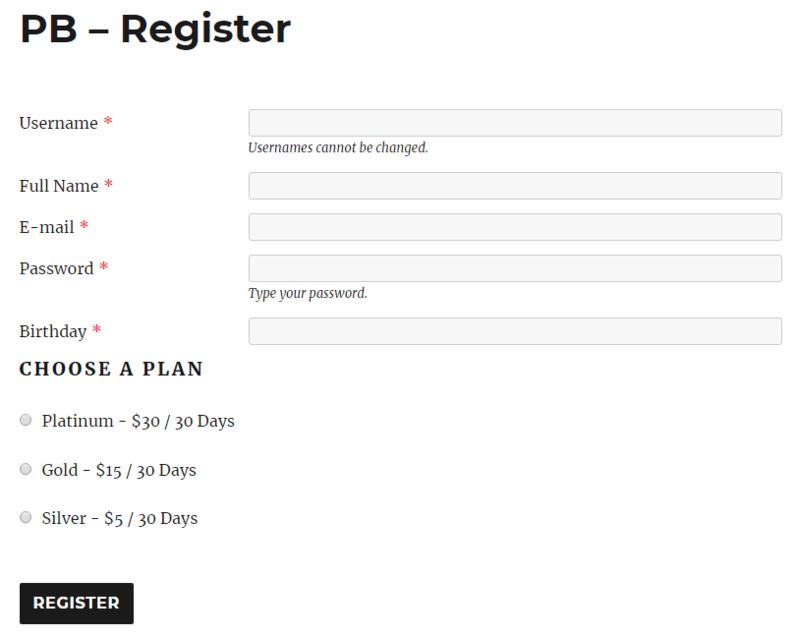 Integrating Paid Member Subscriptions with Profile Builder allows you to customize the registration form. This works by offering you an additional Extra Field Type, Subscription Plans, that you can add inside the Profile Builder form to offer users the possibility to purchase a subscription plan directly form it. When both plugins are active, you will have shortcodes that overlap (for login, register and password recovery). We recommend you to use the Profile Builder shortcodes for these actions. This integration is available with every version of Profile Builder and Paid Member Subscriptions. Depending on the Profile Builder version you have, certain functionalities might not be available. In order to do this, go to Profile Builder -> Manage Fields and from the Field dropdown select Subscription Plans. You can specify a field title, description, the plans that should be shown and also which plan should be selected by default. The plans can also be dragged up and down to change the order in which they are displayed. Users created with this form will receive the user role assigned to the form (set in the shortcode, form settings or the default user role). When the subscription plan activates, they will be assigned the plan user role as well (thus having 2 roles) and when the subscription expires, the user role of the plan will be removed. This differs based on the payment gateway that the admin has configured inside PMS. For Stripe and PayPal Pro, users will be requested their credit card details in order to continue with the subscription. The Subscription Plans field also supports the Conditional Logic feature from Profile Builder. 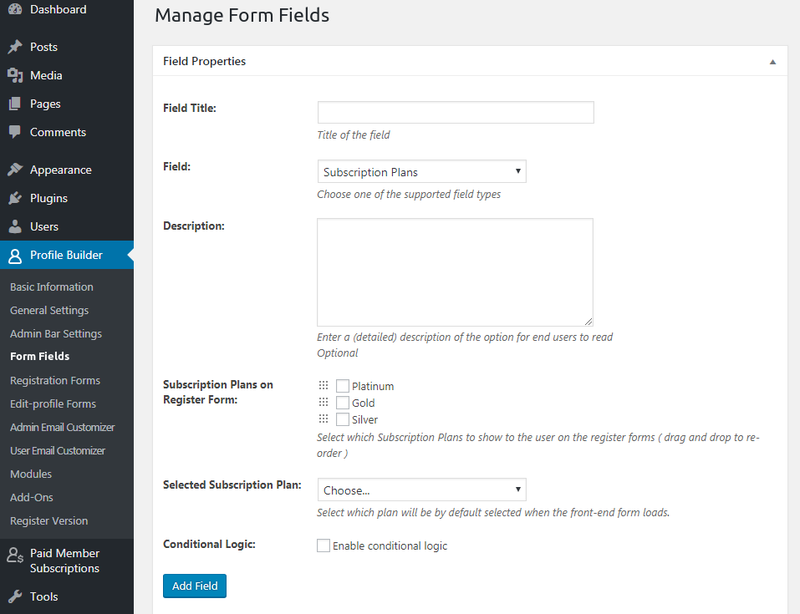 The Subscription Plans field can be added multiple times inside Manage Fields.